This accommodation in Copenhagen is ideally located for business or pleasure. 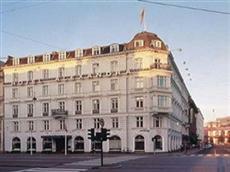 The Alexandra Hotel Copenhagen is just a few steps from Tivoli Garden and the main shopping area of Copenhagen. The train station is only one kilometer from the Alexandra Hotel Copenhagen while the airport is located within ten kilometer drive away. The hotel also provides complimentary bicycle rental services. Water taxis and other public transportation services are available in the city, making it easy to get around and see the many sights. All rooms at the Alexandra Hotel Copenhagen are fitted with original design classics furniture. All rooms have a large selection of movies, music and video games and Internet via TV, hairdryer, trouser press, foot bath and coffee / tea set. The Alexandra Hotel Copenhagen is virtually a museum of historical Danish Retro design and the hotel’s 100 year old walls are dressed in modern Danish art. The hotel pays tribute to the most influential furniture designers and artists form the Danish Modern era, from the 30s to the 50s. An on-site restaurant offers quality bistro fare and a large breakfast buffet, featuring many organic and homemade items.